Norwegian Cruise Line has partnered up with the iconic Italian racing brand known as Ferrari. This will match perfectly with the first ever race track at sea on the upcoming Norwegian Joy. 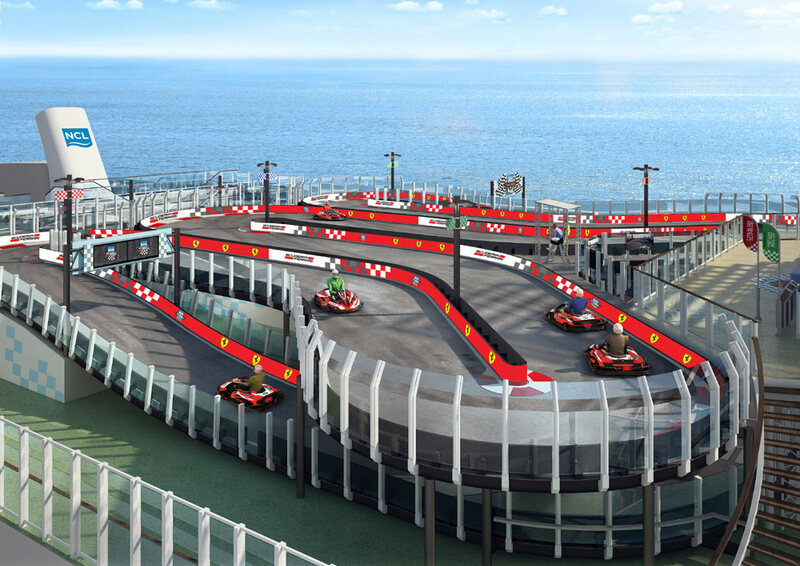 Norwegian Joy will feature a Scuderia Ferrari Watches branded race track, an industry first. We already know that the ship which is purpose-built for the Chinese market will have a race track but it will have the Ferrari brand. The partnership deal also includes a host of activities and entertainment onboard. Up to 10 guests will be able to have a competitive two-level race on the top deck of the cruise ship. Passengers can race around in electric go-karts and get a photo taken at the finish line. Guests staying in Norwegian Joy’s The Haven Level and Concierge Level Cabins can enjoy complimentarily rides during the voyage. There will also be a Scuderia Ferrari Watches retail store adjacent to the racetrack where racers can purchase branded merchandise. 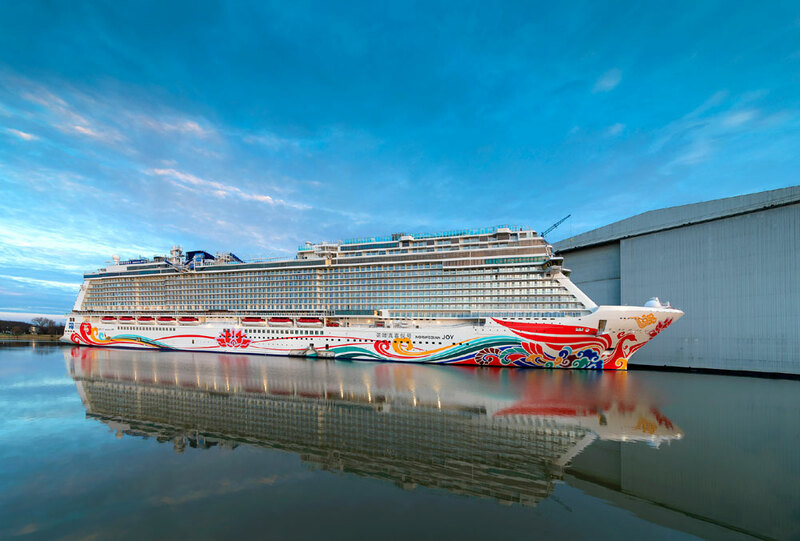 Norwegian Joy recently completed its conveyance along the Ems River from the Meyer Werft shipyard in Papenburg, Germany where it was constructed. At the moment the 3,850 passenger vessel is in the fitting out phase and will finally be completed in April. The crew already started to arrive onboard to get the Breakaway-Plus class ship ready service. Norwegian Joy is a 168,750 gross ton vessel which will be delivered to NCL on April 27, 2017. The ship will be based out of Shanghai and Tianjin in China right after the ships grand inaugural port tour leading up to a christening ceremony on June 27, led by her Godfather, ‘King of Chinese Pop’ Wang Leehom.